Here Are 5 Patio Add-ons That Increase Your Property Value - Project Landscape Ltd. Most homeowners in Calgary or elsewhere know how much tax is paid for their property and their monthly mortgage. 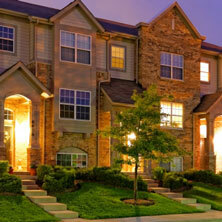 However, not everyone knows what the current value of their property is. This is not an important issue if you intend living in your home for the next foreseeable decades. 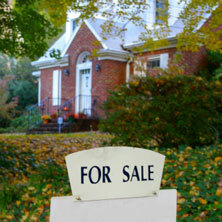 But if you have plans to sell your house, you want to increase your property value and get a good price. The good news is that you can add some house features such as a patio that will increase your property value. A firepit or a fire hole can be as simple as a dug-out in the ground or an elaborate gas burning structure of bricks, metal or stones. Today, a firepit is available in different materials, sizes and styles. The right type depends on: frequency of use; location, budget, and local code that can dictate size or being allowed in your locality. 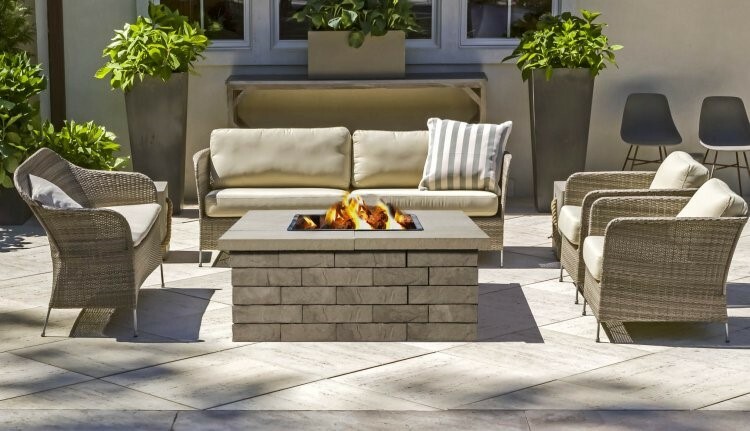 Fire-pit styles are often placed on the lawn’s corner while others are incorporated into a patio made from concrete pavers or mortared masonry. Privacy screens are attractive ways to make your yard a private oasis. It is either man-made or natural screens. Made-made screens can be the 4-panel portable privacy screens that double as room divider in winter or a privacy fence. For your green screen: use some giant house plants and arrange them in a row on the edge of your patio or deck. Tall seasonal green climbers will fill in spaces with beauty and fragrance. Forever green can be a bamboo that grows into a towering and evergreen hedge. At least, you will have privacy from your Calgary neighborhood. 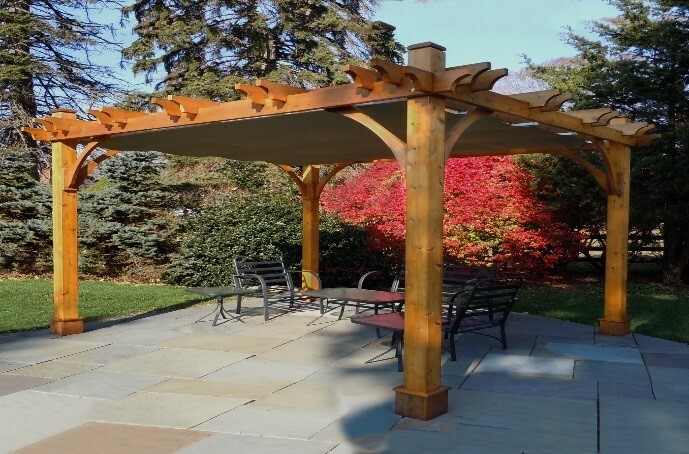 A standing decorative wooden garden structure is called a pergola that are used typically to create shaded walkways and provide sitting areas and nay not be used for seating. Pergolas are also place over a front porch so there is a place to sit outside to cool during the hot summer months. Pergolas can have the most intricate designs to complement the garden or the design of the house. If your garden has entryways consider putting up a pergola as canopy to make a pathway of pavers towards your garden. Planters are most ideal natural beauty screen to filter views as they keep conversation to an intimate level. You can line planters on one side of your balcony or set them up on the entryway to provide privacy from neighbors near-by. Planters around the pool area or outdoor patio will present a relaxing ambiance and with a canopy of green are like the islands in the tropics. Add curtains of greenery to your rooftop patio concrete jungle that with planters surrounding a seating area makes a perfect and romantic setting for dinner under the stars. An outdoor kitchen expands the size of your living space and the freedom to cook, eat and entertain anytime. Pathway towards kitchen can be made from pavers to create a rustic look. With an outdoor kitchen you can enjoy cooking outside beyond the summer months. For mom, it will be an open airy place for her to create her magical kitchen brew. The family will have a nice place to standby before dinner. Outdoor kitchens are good investment endeavors and provides high rate of return on investment when compared with other outdoor home improvement projects. In Calgary, many families realized the value of an outdoor kitchen. Patio adds-on as firepit, privacy screens, pergola, planters and outdoor kitchen will provide life time enjoyments, as well as investments to increase your property value. Looking for a professional touch? 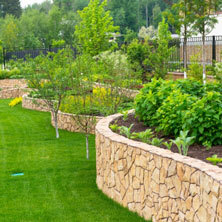 Look no further than Project Landscape Ltd. Get a free quote now!